Super Hot!!! Today, B&H has a great deal on Rokinon 12mm F/2.0 Ultra Wide Lens for only $259 , available for Various Mounts. It is for today only! 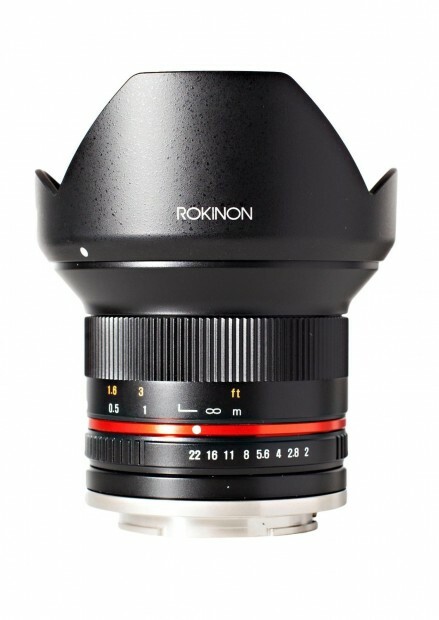 Today Only – Rokinon 12mm f/2 NCS CS Lens for $279 at B&H Photo ! Rokinon USA authorized dealer B&H Photo Video has a today only deal on Rokinon 12mm f/2 lens for Sony E-mount mirrorless cameras. This is currently best price from authorized dealers. Amazon US currently has a lightning deal on Rokinon 12mm f/2.0 NCS CS lens for Sony NEX E-mount APS-C mirrorless cameras.